My sister used to work for Apple, whose co-founder Steve Jobs died on Wednesday. After leaving the company, she posted on her Facebook page that “working for it was like marrying the hottest guy and realising that he snores and farts like any other man”. Let me first clarify that my sister has never been married – to the hottest guy or otherwise. So I’m wondering what qualifies her to make this analogy. And no matter how accurate it is, if she imagines that even the hottest guy she marries to snore and fart... well, no wonder she’s still single. But I get her point. Although I have never worked for the company, I too have this love-hate thing with Apple. It all started when I was in Secondary 3. It was, as they say, love at first byte. This was before the iPad. Before data plans. Before social media. Before the World Wide Web. Before the mouse. Before the compact disc. Before IBM made personal computers. Before Abba broke up. If not for the Apple II kicking off the home computer revolution, all those things might not have happened (well, except the Abba thing). Thanks to the Apple II, I learned how to program a computer using a language called Basic, which stands for Beginner’s All-purpose Symbolic Instruction Code and is - surprise! - quite basic. I saved my programs on floppy disks, back when floppy disks were still floppy. I loved the games that came on these floppy disks, especially strip poker, which was how I learned to play poker (although I still can’t tell a flush from a straight – but at least now I know Kumar isn’t one). 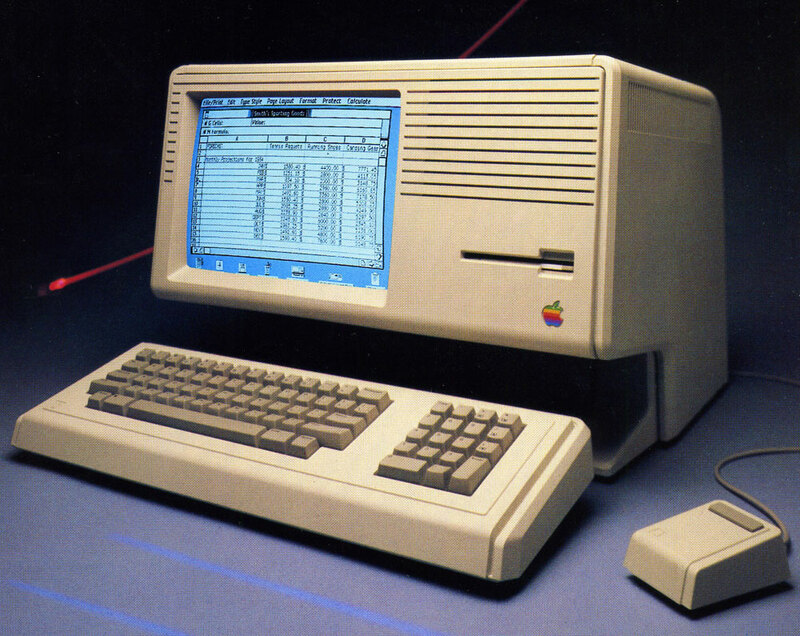 I was so loyal to Apple in the 80s that even when everyone I knew bought an IBM-compatible, I refused to switch. IBM was the enemy. To me, the only true personal computer was the Apple computer. But I hated Apple when it unveiled the Lisa computer in 1983. Protective of my beloved Apple II, I felt threatened by the new Apple product. 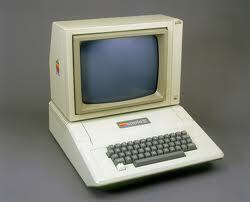 To me, the only true Apple computer was the Apple II computer. I rejoiced when the Lisa flopped. When the Macintosh came along a year after the Lisa, I expected and hoped that it would flop too. It didn’t. I resented the Mac’s success – especially when the company killed the Apple II series in 1993. I’m one of those bitter Apple II fans. Although I have used the Mac at work, till this day, I will not buy a Mac for myself. I’m still bitter over the betrayal and death of my first computer love, the Apple II. I hate the Mac so much, I switched my loyalty from Apple to the descendant of a former enemy, the Windows PC. 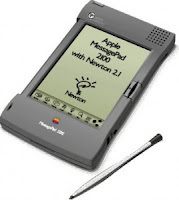 But I was still rooting for Apple to succeed when it released the Newton in the 90s, even though the handheld device kind of sucked. It also flopped. And then I bought my first iPod in 2005. It was like falling in love for the first time all over again. All that music in my pocket! Good-bye, Discman. In 2008, I got my sister to buy the iPod Touch for me at a staff discount and for the first time, I had the Internet in the palm of my hand. It changed my life. I not only went everywhere with it, I was sleeping with it. If I could marry it and book an HDB flat with it, I would. If I could have children with it, I would. My wife got a little jealous. Two years later, I upgraded to the iPhone, which to me, is just an iPod Touch that I can make phone calls with. And then Apple introduced the iPad, which looked great until ... eh, how come no Flash support? So now I’m hating Apple again – actually, just the Apple iPad, at least until the company reverses its anti-Flash policy. I have a cousin who works at Samsung. I asked him for the Samsung Galaxy Tab 10.1. He got one for me for free last month. I love it! You know why? It plays Flash. I’m not sure I would marry it though. It may snore and fart like any other man. Thank you so much for your Apple piece. So many people are busy praising Steve they completely overlook his bad side. Like you, I'll use Apple but I won't buy - not since I spent S$1,800 on a PowerBook and S$2,500 on repairs. I'm aghast people keep saying, "Singapore need more people like Steve." Really? People who are worth billions but won't give a cent to charity? Is this what we want to tell our kids - and I have none. Thanks again - as usual, your piece was accurate and entertaining. Not like some brain-dead celeb who can only echo the 'we need more Jobs' comments. (Remove) The mole, the merrier?